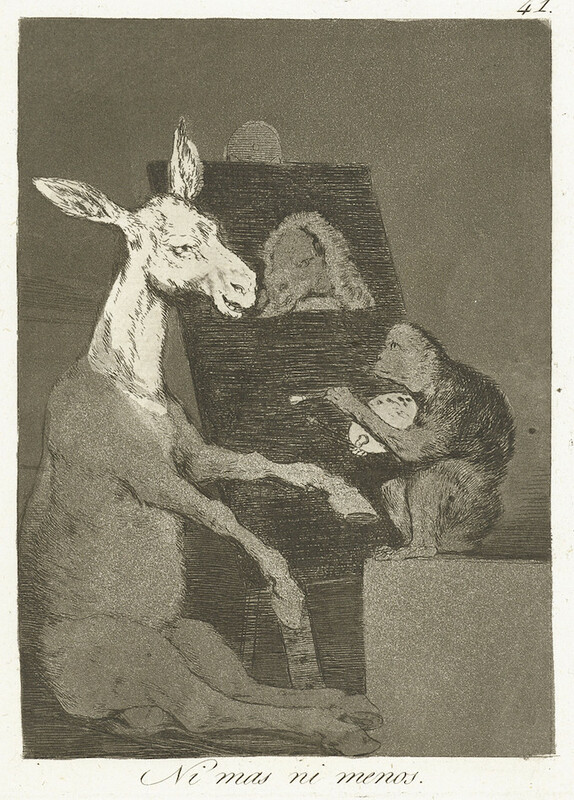 At some point in late 1792 or early 1793, the great Spanish artist Francisco de Goya was struck by a severe and undiagnosed illness which left him deaf and disillusioned, and marked the beginning of his so-called “mid period” (1793–99) which saw his work became progressively darker and pessimistic. 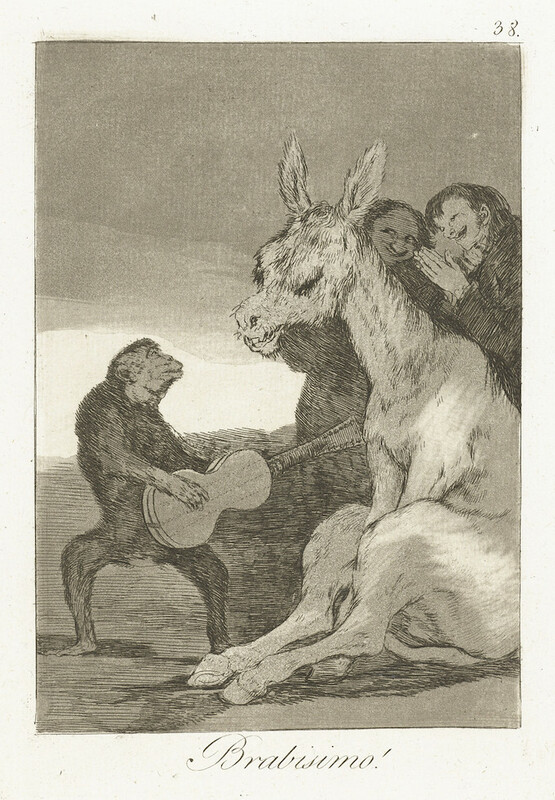 The crowning achievement of these troubled years was a set of eighty aquatinted etchings created between 1797 and 1798, and published in 1799 as Los caprichos (The Whims). 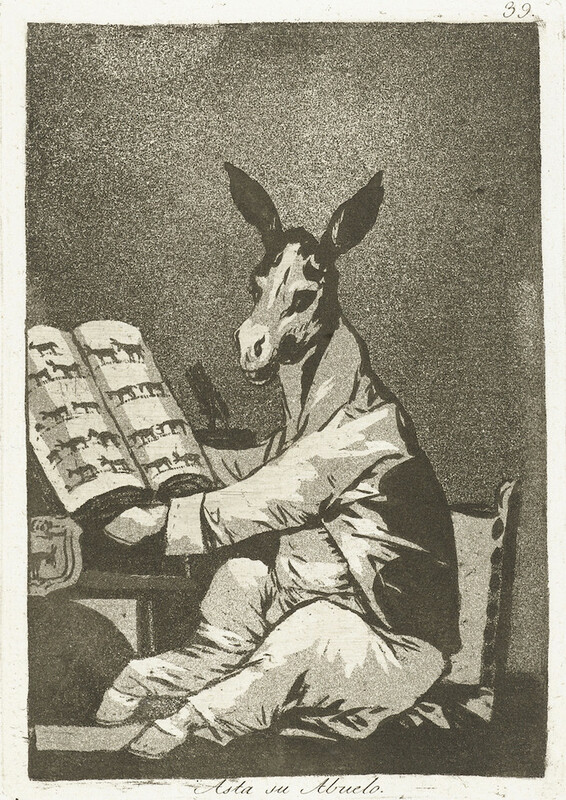 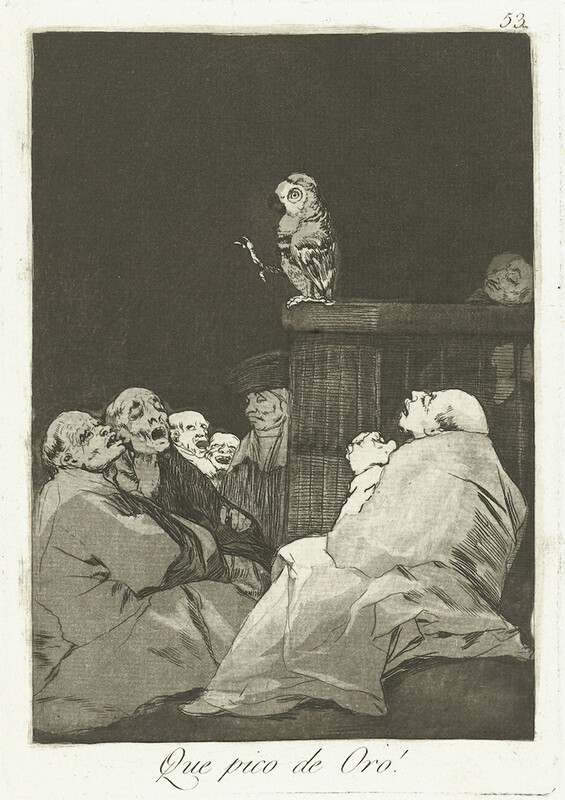 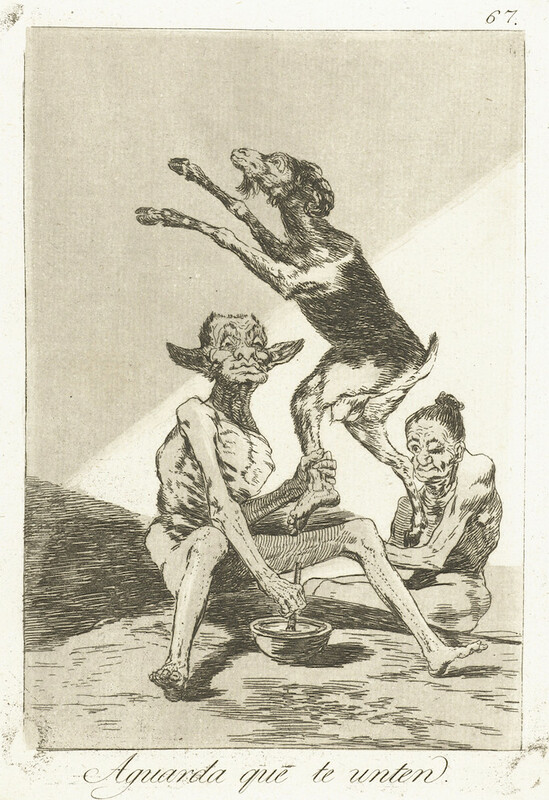 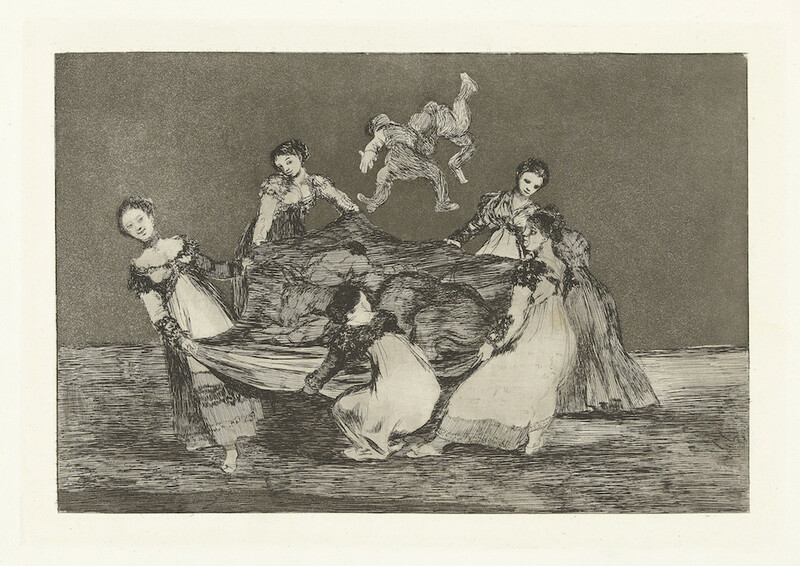 Produced alongside more official commissions, the visionary prints depict what Goya described as “the innumerable foibles and follies to be found in any civilized society, and from the common prejudices and deceitful practices which custom, ignorance, or self-interest have made usual”. 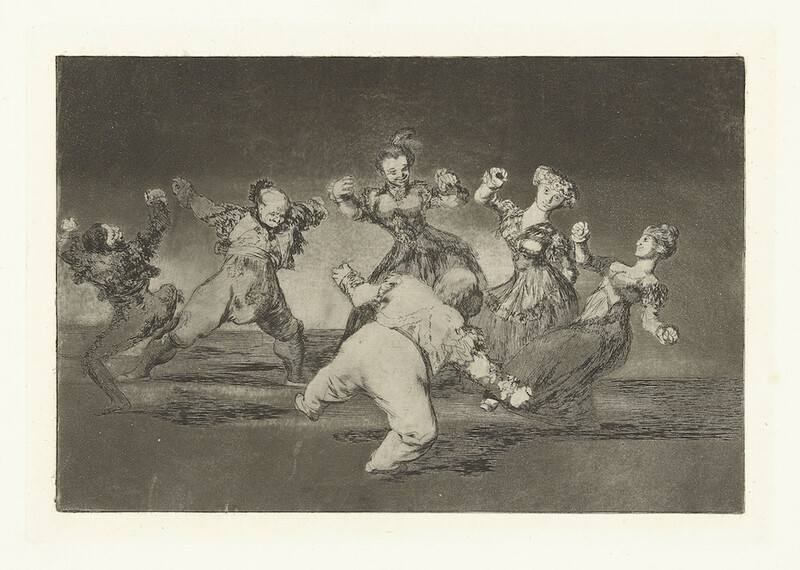 The criticisms of the eighteenth-century Spain in which he lived, and humanity in general, are far-ranging: the prevalence of superstition, the ignorance of the ruling class, marital strife, and the decline of rationality, all fall prey to Goya’s acerbic satire and wit. 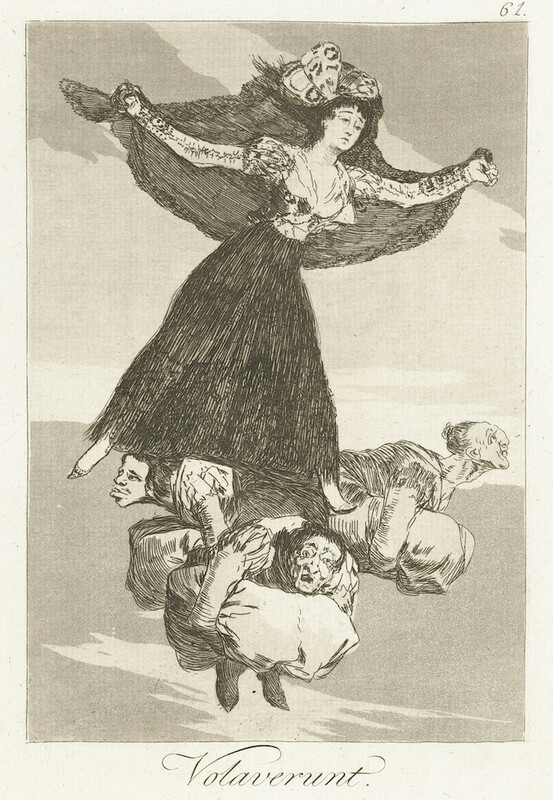 Some two decades later Goya would create a series titled Los disparates (The Follies), which like Los caprichos sought to condemn the foibles and follies of civilized society. 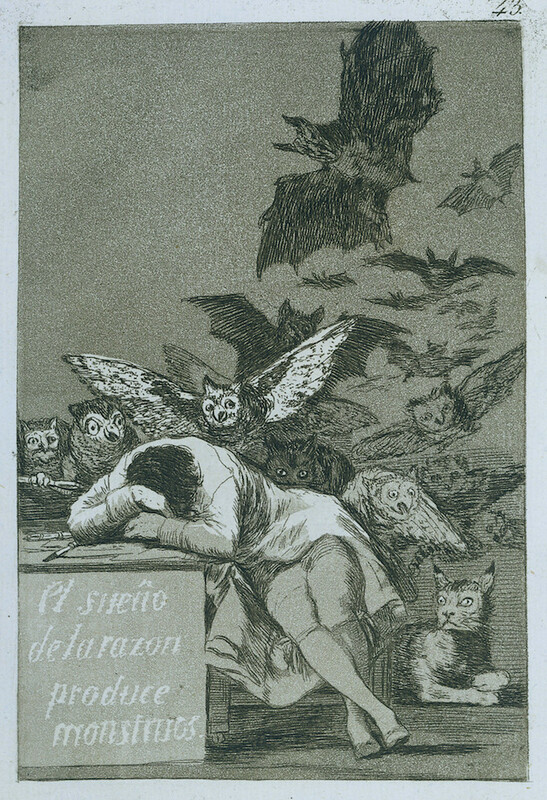 Produced between 1815 and 1823, while Goya lived in his house on whose walls he painted the famous Black Paintings, the series was not published until 1864, nearly thirty years after his death, under the title Proverbios (Proverbs). 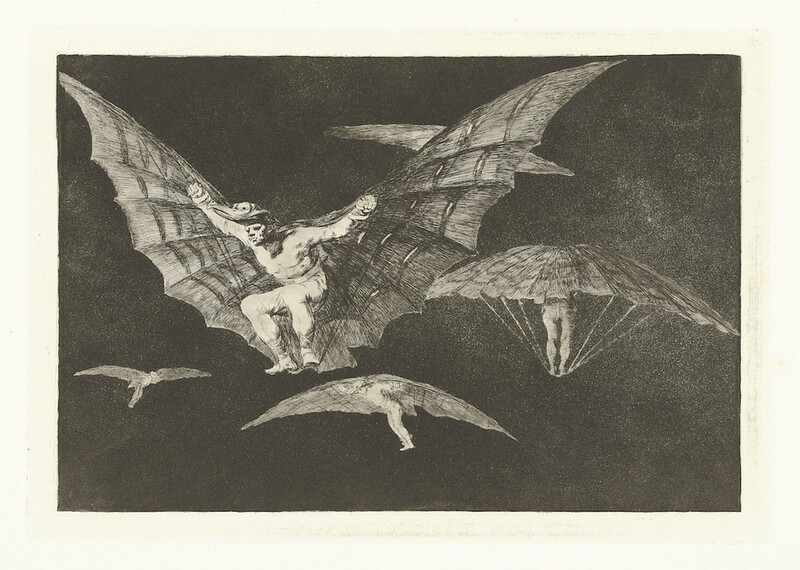 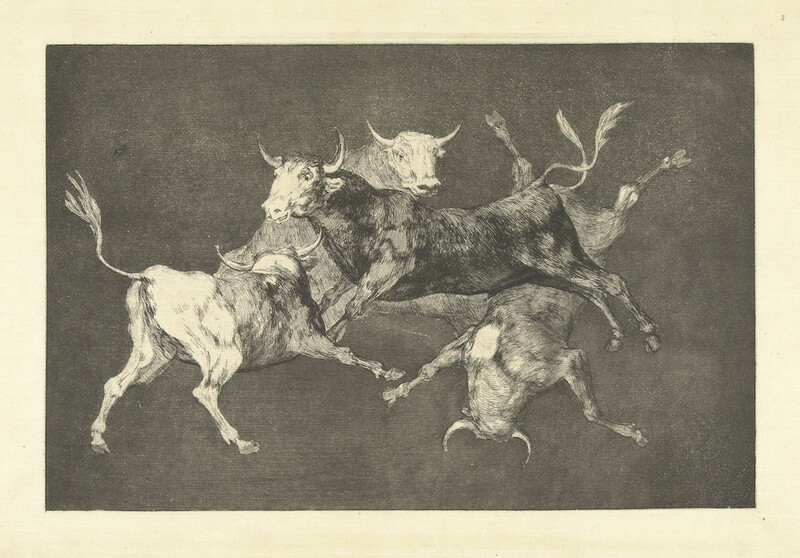 Comprising twenty-two prints in total it would be Goya’s last major series of prints, and is full of enigmatic and dream-like imagery thought to be connected to political issues of the day and traditional Spanish proverbs. 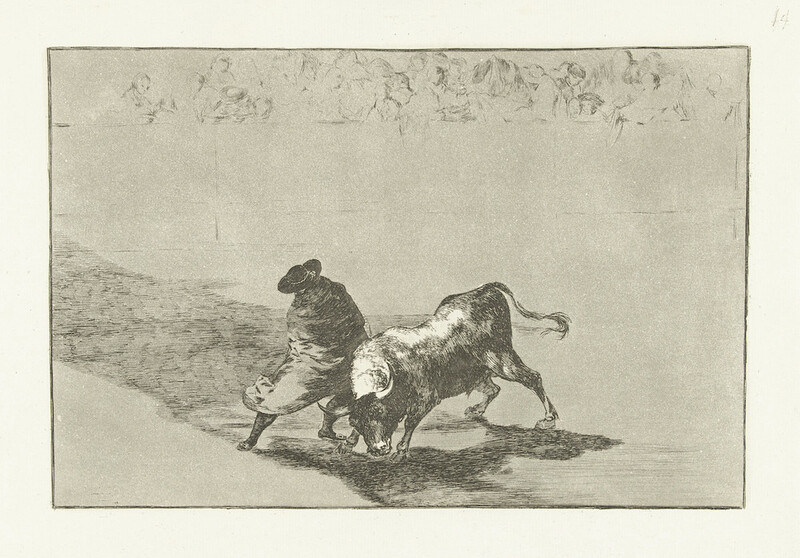 Below we’ve selected some of our favourites from the two series, all sourced from the Rijksmuseum. 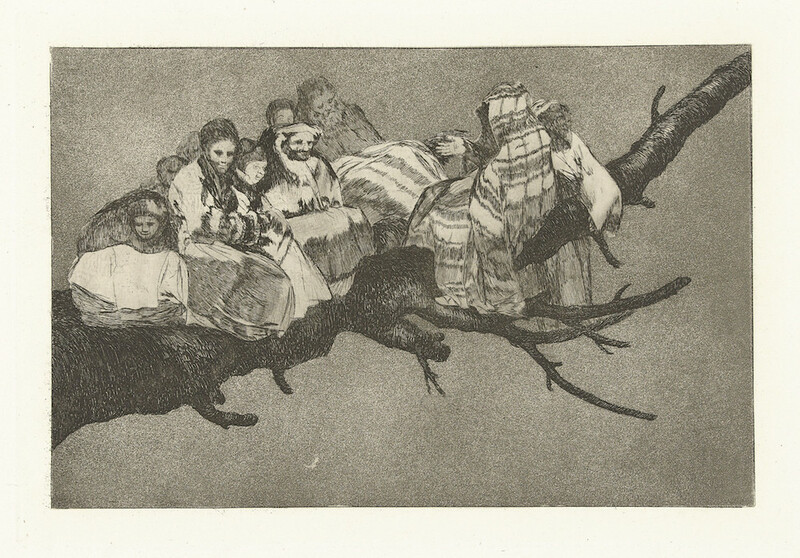 Buy the images as prints in our new online shop!